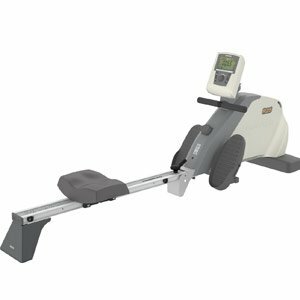 Is The Tunturi R25 Rower Well Suited To Novice Users? This product is no longer available. You can find the newer model Tunturi R30 here. It is immediately clear from the sales photos that there is nothing particularly special about the Tunturi R25 Rower. There are, however, a number of basic features as well as the promise of ease of use, which should be enough for the first-time users that the company are targeting here. These basic features include a manual resistance, a 5.5 inch monochrome console for basic data, a folding shape and transport wheels for storage. Is this beginner’s model too basic or just right?